The horrible, cold, stormy weather here made me want to just stay in and keep warm so I decided to do an impromptu readathon….all on my own! No theme and just reading the books I picked off my tbr then and there. The most I normally read in a week is 2-3 books but I decided to go for it….and I read 6! I was so happy as 1 of the books was over 550 pages! 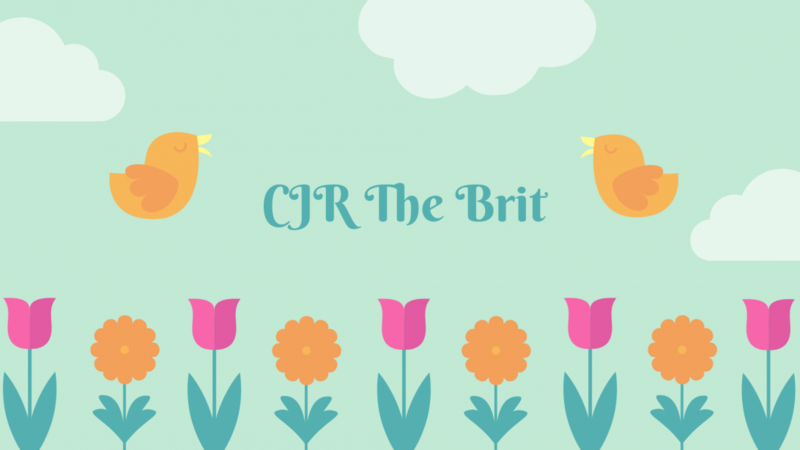 From Sophie at Beware of the Reader – How do you like your book blogger? Kiss and Break Up by Ella Fields – see my review here. Dangerous Love by Jamie Begley – see my review here. Free by Kristen Ashley – look out for my review on Tuesday! Salvatore by Natasha Knight – look out for my review on Thursday! Dominic by Natasha Knight – look out for my review on Thursday! Never Contented Things by Sarah Porter – will post my review closer to release…but lets just say I wasn’t enamoured! If I’m good I’ll read my arc of Meet Cute by Helena Hunting…..let’s see what happens! My Weekly Epilogue! See what I’ve been reading this week……. I started the week with a stinking cold, it has not been pleasant! Also my reading list didn’t go according to plan, in fact at this point I’ve had to throw my February reading list out the window as I have no chance. The culprit? Well me actually! All those arcs I forgot I signed up for that have arrived! Look out for my reviews for both of these! Yes, weekly is back! I found the monthly one a bit hard going so I’m back to weekly….for a bit!!! We were on a amber alert for snow! We hardly ever get snow where I live so it was an exciting prospect! We actually got about 20cm so obvs me and my son went sledging and my muscles paid for it on Saturday!!! I did read 3 books this week but I admit that I feel off with my reading, and I really don’t know why! Knights Fury by Bella Jewel – this was an arc and it was a great read. Enchantee by Gita Trelease – another arc – look out for my review closer to release! I Owe You One by Sophie Kinsella – yet another arc! Look out for my review closer to release. Yes I changed it….well for now! I did away with the weekly epilogue and changed to monthly……but I miss weekly so I’ll be mixing and matching each month! Can you tell I’m indecisive about this!!! I have not been around much in January so I apologise for that. I’ve had some health issues that I FINALLY have answers to and it appears all my issues are down to fact my ovaries hate me, my intestines hate me and my stomach doesn’t like gluten…so hello to PCOS, diverticulitis and being a celiac for me! I mean how do these things suddenly happen?! But at least I have answers now and can manage it! I had quite a few arcs to read in January so I dubbed it arc month! Although a ‘me’ read did pop in there! Look out for my February reading list to see what I’ll be reading! The Weekly Epilogue…reading the best book and Christmas-y stuffs! On the 21st the Shortathon starts and I cannot wait to dive into the books I picked. You can see my list here. The Weekly Epilogue – what a great week! I PUT UP MY CHRISTMAS TREE!!!! 🎅🎄🎄Makes me feel all warm inside! Started up my advent calendar yesterday and why yes, it’s a chocolate one! I completed my Goodreads challenge!!! This week was an arc read week! I wanted to hit the ground running on my December reading list so I made sure I was up to date with all my arcs…..until a few sneak in that I forgot I signed up for that is…. Starting my December reads, albeit a little late! Here is my list so I’ll just be picking as my mood takes me! The Weekly Epilogue – see my failed book week! My slump continued this week and I felt all adrift because of it….but then my son saved the day! He bought home Harry Potter and the Chamber of Secrets from the library and I gorged it in 1 day! Does anyone get periods like this? Apart from The Chamber of Secrets I’ve read nothing in about a week. It’s so not like me. These 2 are on my September reading list (so failed that!) and I decided to keep my options open and choose one of these two! The Weekly Epilogue…..well, sort of! I haven’t posted a weekly epilogue in a few weeks, only due to time and not having any! I pondered on the idea of whether to do a monthly recap for September or a bi-weekly sum up but my need to blog was greater so here I am with a bi-weekly for now! I have only signed up for 2 arcs in September and currently have none scheduled in for the rest of the year, am hoping to keep it that way so I can finish my Beat the Backlist challenge and start off some new series that I have sitting on my tbr. I’ve had a great few weeks reading wise, 10 books! So that’s my last few weeks – did you have a great reading week?